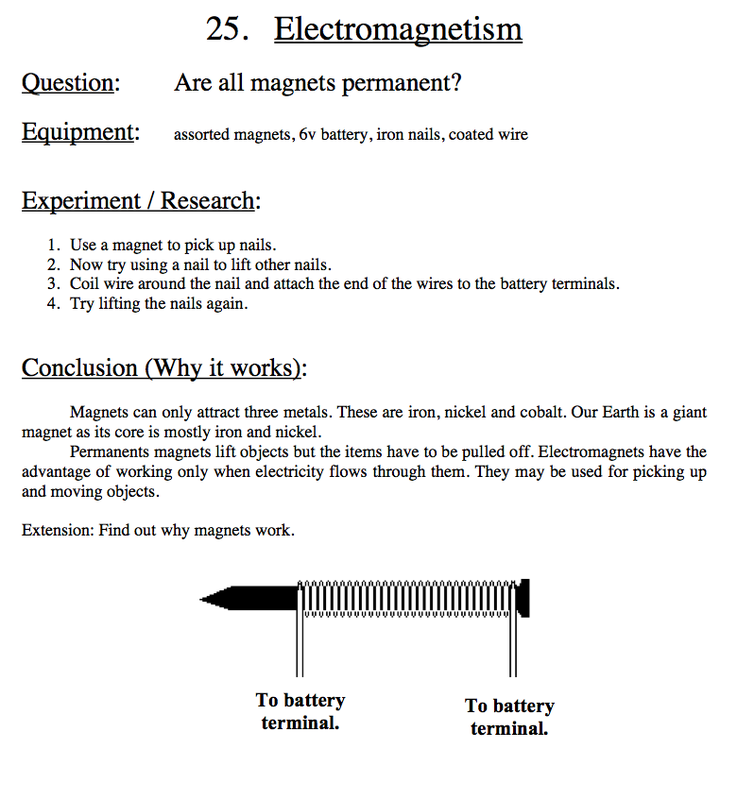 My classes always enjoyed “Fun with Magnets”, that’s what I called our look into magnetism when I had a class. I can see by your worksheets in the photos, you had to choose objects, decide what material was in the object, predict what might happen then record your results. This is pretty much the way scientists carry out experiments. 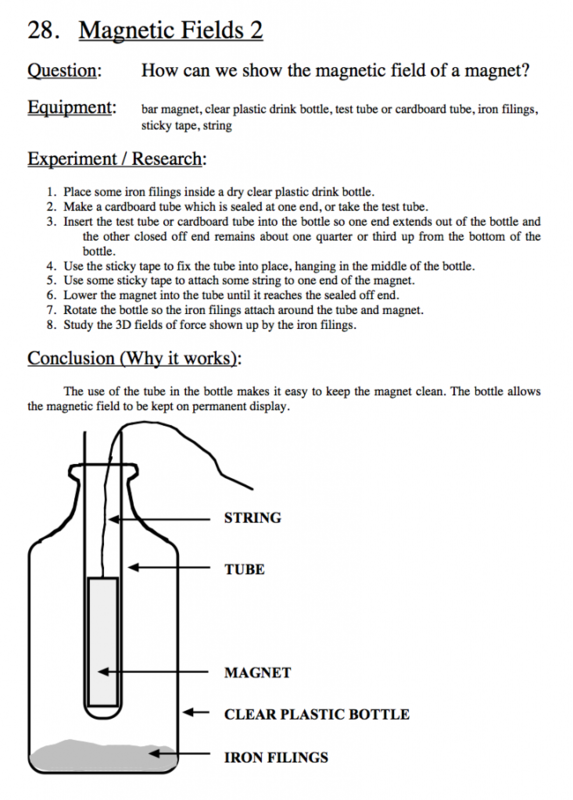 Did you notice not all metals were attracted to magnets? At one school I ran a Double Helix Science Club for children interested in science. Each week we would have a different science activity or experiment to carry out. 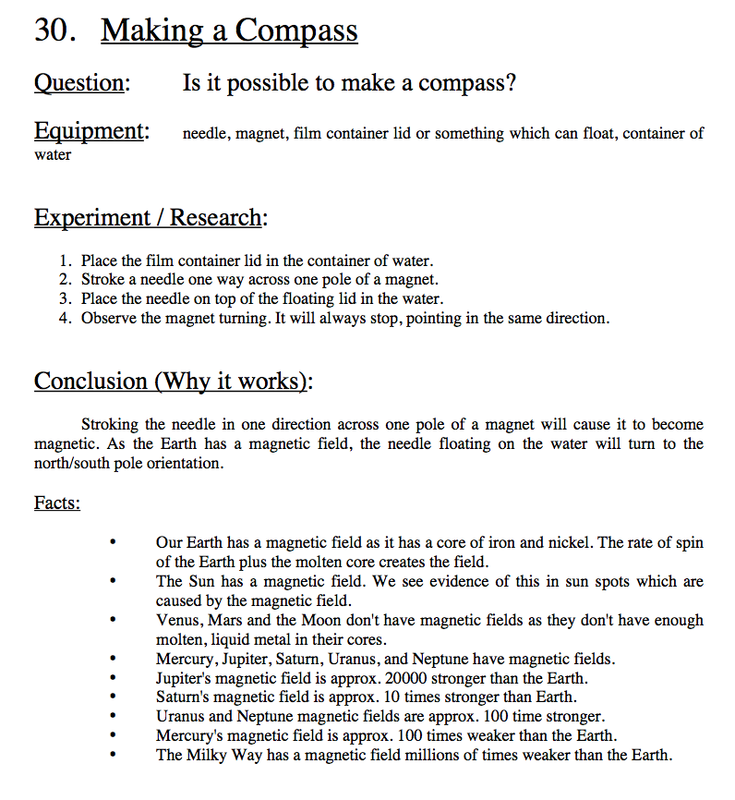 Here are a few of the activities from the Science Club book I had written. You can click on an image to enlarge it. Schools and students have permission to print and use this graphic for non-commercial, educational purposes. Enjoy science, it will help you discover the world around you. Posted in Education, Rocks and Minerals, Science in the Classroom, Space on May 28, 2012 by rossmannell. Thank you for your comment about our work. 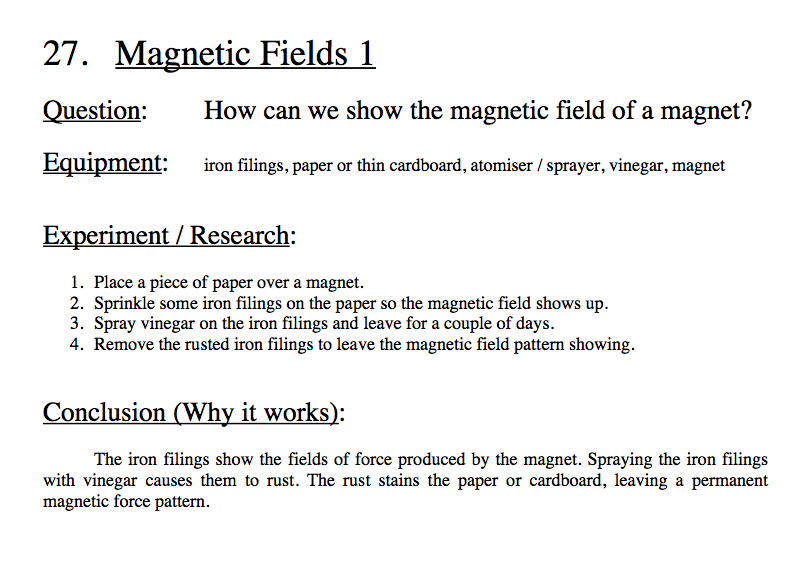 We enjoyed looking at your experiments and we are going to try one of them, we would like to try the electromagnetic experiment. I think your blog is amazing thank you for helping us with our since hope fully we can try one out.If we do I will write back and tell you what happend.I can not wait mrs warner can we try one of mr mannell’s experiment. Unlike most primary school teachers, I have a science degree and always liked bring science into the classroom. The Double helix Science Club I ran gave students a chance to try a number of experiments. Magnets were amongst their favourite.